I am sorry I have not been around for so long – time has not been my friend. The class included how to use the stamps (obviously) but there were also tips and tricks, and ideas which is always my best bit of any class. I used some pigment inks in the browny/yellowy family with two greens for the leaves. 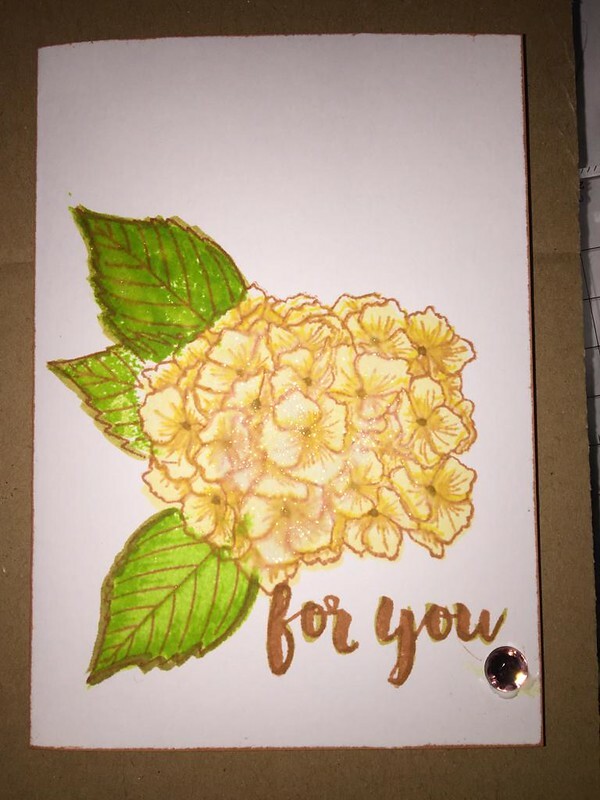 I used a gold Wink of Stella pen for the dots in the flower and to go around the edges. The edging was a mistake, but it looks ok. The second card was better because I used my trusty distress inks. 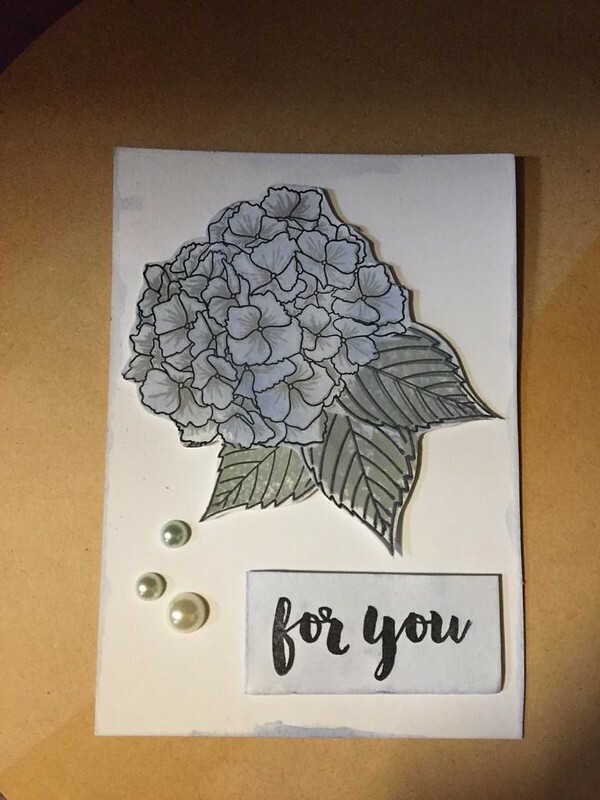 I stamped the leaves, but used the water smooshing technique for the flower and the edges of the card. I think they turned out ok, even if they are not the best I have ever done. 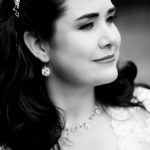 The course at Altenew.com was fun, and I am planning on attending a few more in the future. Hope you are all well, and having a good day. See you all soon.